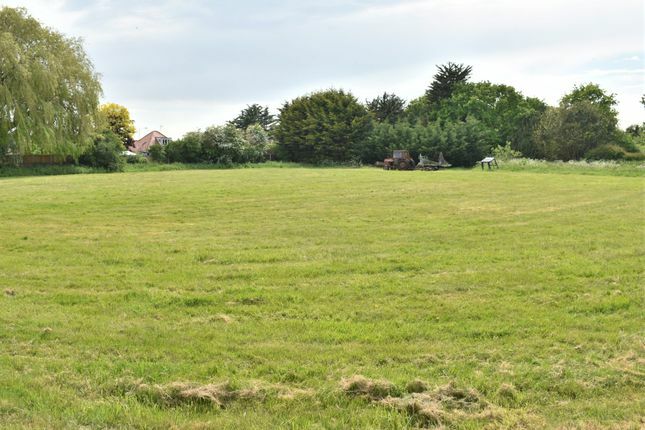 Description A development site with outline planning consent for 12 detached three bedroom bungalows. The plot measures approximately 1.6 acres and is shown on the attached plan. The A12 via the A120, provides links to the north and south. Clacton railway station is situated nearby and provides main line rail services with direct links to London Liverpool Street with a commuting time of approximately 1 hour 30 minutes. Planning Outline planning permission was granted under reference 17/01964/out on the 10th April 2018. The permission is for the development of 12 detached three bedroom bungalows. The planning requires the demolishing of the existing property to make way for a new access road to the site. Tenure The site is to be sold freehold, with vacant possession on completion. Method of sale Stanfords have instructions to place the property on the market with a view of selling it at its best consideration which can be achieved as a result of the marketing campaign. Services Mains water, electricity and gas are believed to be available from the public supply but prospective purchasers must make their own enquiries as to the availability and adequacy of such services. Viewings Viewings should be arranged by prior appointment with Stanfords. Potential purchasers should note that Stanfords take no responsibility for any injury or accident at the property. Viewers and visitors of this property do so at their own risk. Easements, wayleaves and rights of way The land is offered subject to, and with the benefit of all existing rights of way, wayleaves and easements, whether or not specifically referred to in these particulars. Property descriptions and related information displayed on this page, with the exclusion of Running Costs data, are marketing materials provided by Stanfords, and do not constitute property particulars. Please contact Stanfords for full details and further information. The Running Costs data displayed on this page are provided by PrimeLocation to give an indication of potential running costs based on various data sources. PrimeLocation does not warrant or accept any responsibility for the accuracy or completeness of the property descriptions, related information or Running Costs data provided here.